Block Island — U.S.-based Deepwater Wind’s ? ve-turbine, 30-megawatt wind park — was the ? rst. It showed what was possible, what might not have been optimal and how long it all takes. Since then, incentives for onshore-wind have been curbed, while a tax credit for offshore wind has been extended. Wind parks are in the works. 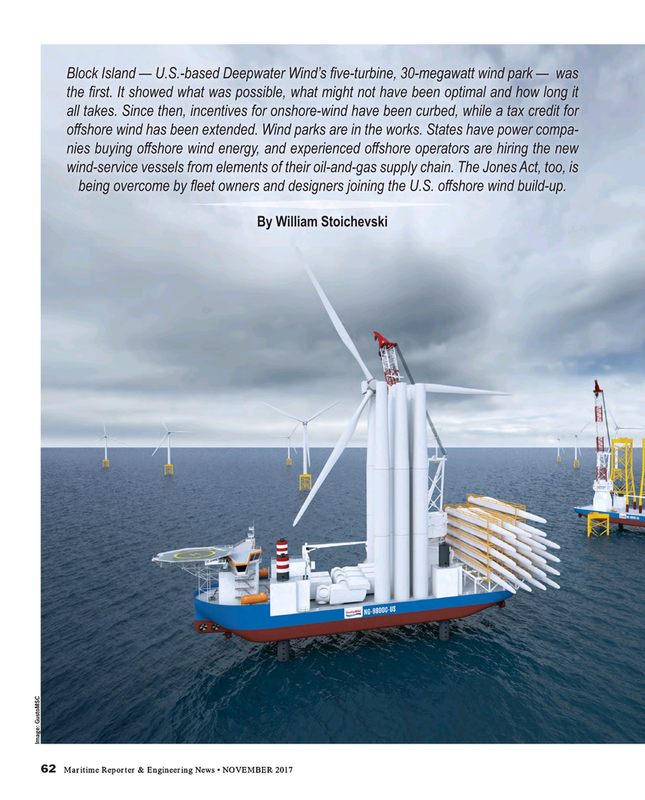 States have power compa- nies buying offshore wind energy, and experienced offshore operators are hiring the new wind-service vessels from elements of their oil-and-gas supply chain. The Jones Act, too, is being overcome by ? eet owners and designers joining the U.S. offshore wind build-up.